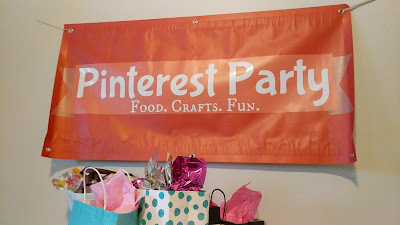 California Pinterest party, here we are! I did the Favorite Things theme for this party like I did for Utah. 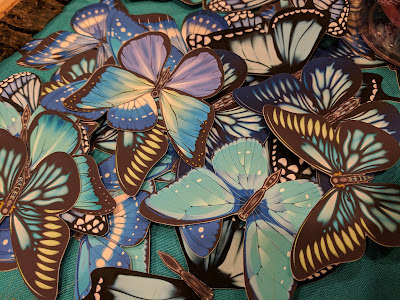 Kept one craft the same and then did a couple other different crafts. Of course, the food was all different so keep reading to find out what we made and ate! I invited a couple friends over to participate in the live stream that Plaid Crafts has been doing monthly that is a paint along session! This month was to make these cool tote bags with flowers and grapes (if you wanted) on them. 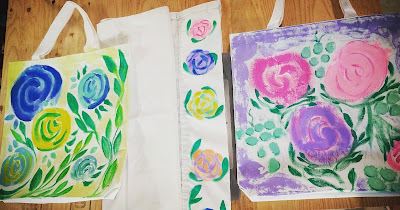 I did mine on a pillowcase, I thought I had more cloth bags but apparently I didn't. I love how ours all turned out so different, as is what usually happens during a paint night. I am partnered with Plaid and they send me lots of cool products and for this project they sent me everything I needed, 2 bags, the watercolor paint, brushes...they are such a great company to work with and I love all their products. I'll continue to feature more on my blog posts here in the future! Click here to get connected to their Facebook page so you can stay in the loop of future events! Even though we were all tired we got dressed up, some more than others..for an 80's theme prom night which was the second party at Snap that happened Friday night! 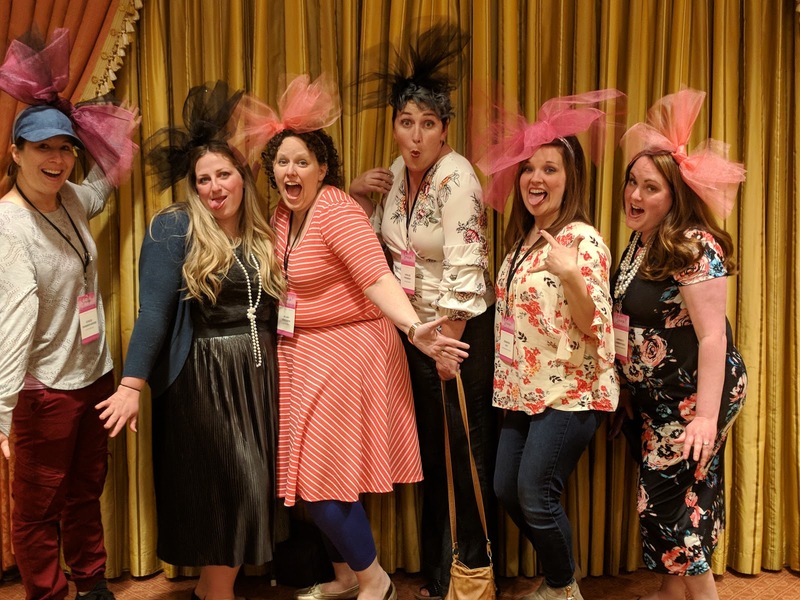 Here are me, my roomie Amber, Hilary, non roomie Ashlee , non roomie Jennifer and roomie Amberly with our cute 80's themed headbands!